Of course to me that was a terrible trauma, but even more so to our poor Bailey, she looked at me as though I had hurt her feelings, and could not understand what she had done that was so horrific. We both made it through. I of course asked her to forgive me and we are best friends again. This reminded me of how many times we can be misunderstood by our gifts. I noticed a post on facebook, that a VERY inappropriate gift for Mother’s Day was a vacuum cleaner. (I do hope the husband got the hint) I think I would agree. But to many men they see this as a machine and machines are really cool cause they can do so many things, and women LOVE to have clean homes, so this must be a really wonderful gift for my wife so I can say I love you. Sorry guys, many times this is a NOT. Notice I say many, I have a lot of girlfriends that really love this sort of thing. But to many women this says “Honey, can you work a little harder to keep the house clean?” I know, I know, that’s not what is meant at all, but that is the way a woman will interpret. Especially if she has some insecurities about her housekeeping abilities. Just as Bailey wanted to please me with a wonderful gift of a rabbit, guys try to please us. It’s a problem on both ends. I guess the way we as women should look at it is, “Let’s find the good in it!” When you find the good in a vacuum, it might be ” he wanted me to have an easier time with the housework, or he wanted to get me something really practical, or maybe this means he will do the vacuuming since he likes cool machines”. Is it really worth it to get angry about it? 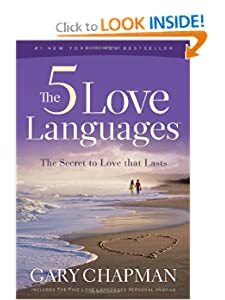 Languages” by Dr. Gary Chapman. Maybe it would be a good idea to read that and study your spouse to see what their love language might be. I am very blessed because for twenty-three years John says “I’ve studied you” and actually he does quite well.